M.B, B.S, F.R.C.S.I.,F.R.C.S. ( Plast . ), F.A.C.S. Dr. Jaffer Khan is the medical director and head consultant at Aesthetics International with over 20 years’ experience. A former Consultant Plastic Surgeon in the United Kingdom, he did his initial plastic surgical training at Cork University Hospital before moving to the UK. Dr Khan trained for five years in plastic surgery, including periods at St. Bartholomew‘s and the Royal London Hospitals, working with ten leading consultants. Dr. Jaffer Khan also visited the Manhattan Eye, Ear and Throat Hospital and worked as a Fellow at a leading Harley Street practice in London to gain experience in cosmetic surgery. With a number of scientific publications and several international presentations to his name, Dr Jaffer Khan was the first surgeon in the region to pass the specialty fellowship examination of the Joint Royal Colleges in Plastic Surgery. His areas of special interest include liposuction and body contouring, as well as aesthetic and reconstructive surgery of the face, breast and abdomen. 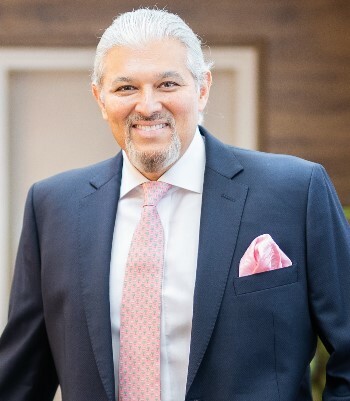 Dr. Khan is trained with hand, burns and is a microvascular surgeon, and a pioneer of Facial Resurfacing having introduced the first Erbium YAG laser to Riyadh, Saudi Arabia in 1997 and to Dubai in 1998. Dr. Khan is now a visiting professor at Anglia Ruskin University in the United Kingdom. Along with Professor Frame, Dr Khan leads the MCH (Masters in Aesthetic Plastic Surgery) training program in Dubai. Dr. Khan will be carrying out the following treatments at the Nova Clinic.